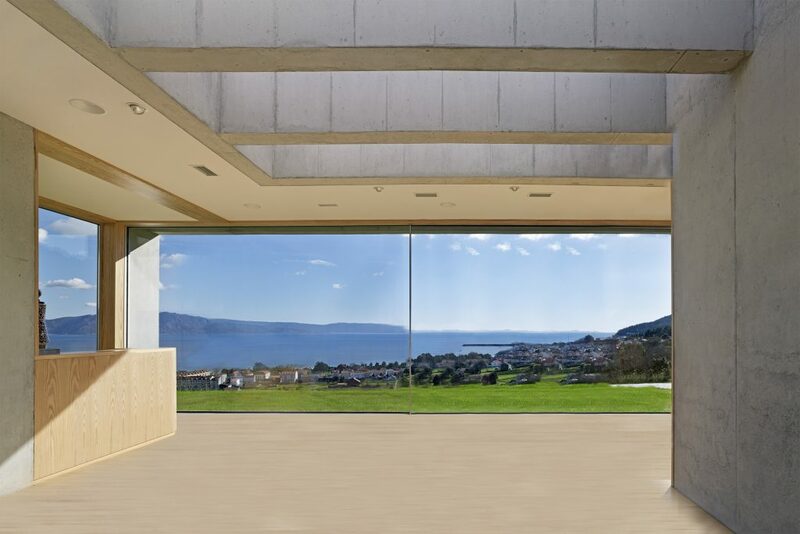 Alumen’s new Cor-Vision Plus aluminium sliding doors offer expansive glass areas in a system with only 25mm sightlines. 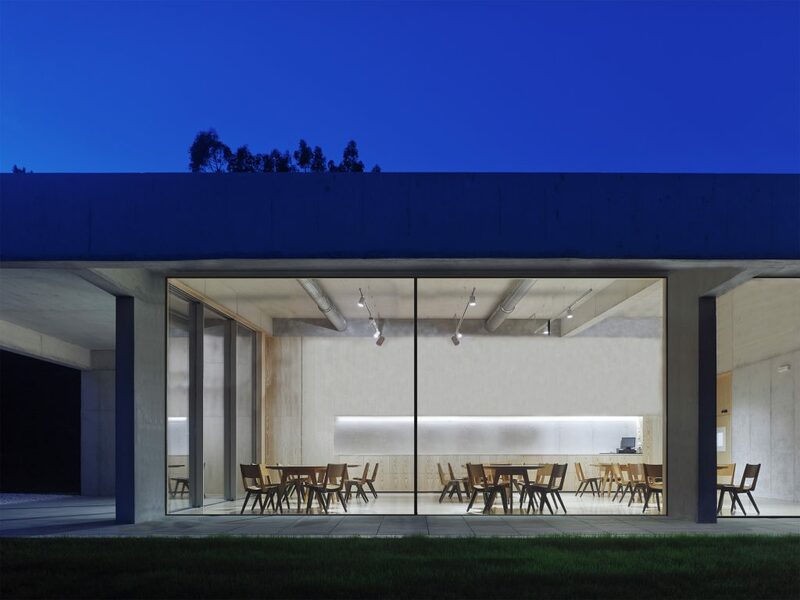 This summer specialist aluminium door and window manufacturer Alumen launched a stunning new system that brings something unique to the UK sliding door market. The long-established, well-respected Northamptonshire company has partnered with Spanish aluminium giants Cortizo to produce their new Cor-Vision Plus sliding door. Cor-Vision Plus has been designed to offer uninterrupted, expansive glass areas thanks to its incredibly slim sightlines. Its innovative inlaid frame design, coupled with ultra-slim sash profiles, means that the visible profile on an installed doorset is just 25mm. Often slim-profile door systems have a restricted size, but Cor-Vision Plus has been designed to handle projects on a big scale. Each sash can be up to four metres in width and height, and the system can have four sashes in a single doorset. The result is a maximum door size of 16 metres wide by four metres high – impressive on any scale. Indeed, Cor-Vision Plus offers impressive credentials across the board. It comes with two, three and four pane options, fixed or sliding sashes, on twin or triple tracks. That gives homeowners all the flexibility they need. 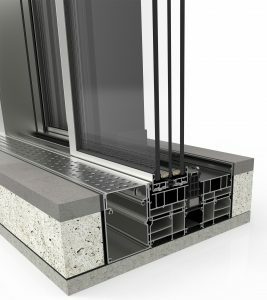 In terms of performance it can use either double or triple glazed glass units, offering excellent thermal and acoustic values. Importantly, the system is simple to operate, with sleek handles, various locking options and a smooth-running premium stainless steel track and roller system. Sashes up to 400kg can be operated manually, while any size door can be automated. Describing the new door system, Alumen’s Managing Director Alan Robinson comments: “Homeowners want to connect their indoor and outdoor spaces. Cor-Vision Plus is a significant step towards that. “The first feature people notice is just how slim the system is. With a 94% glass area there’s really nothing else on the market that can rival it. But there are subtler details that also make a huge difference – it has been designed from day one with cost, ease of use and practicality in mind. For instance, the inlaid pocket frame means that when the doors are open there’s no upstand – nothing to interrupt the flow from inside to outside. And we’ve built the rollers into the frame rather than the door sashes, running in a stainless channel. This makes the doors very smooth and easy to slide. This entry was posted in Doors, Windows & Fittings by Laura. Bookmark the permalink.